Considering that the spider’s silk is the toughest biological material ever studied, Japanese startup Spiber has researched and succeeded in developing synthesis spider thread for multiple purposes. 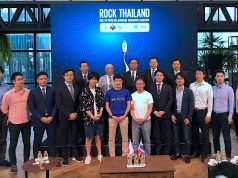 At the press conference in Tokyo on Wednesday, the company announced it has secured about 5 billion yen (about $44 million US) in the latest round led by government-backed Cool Japan fund. Cool Japan revealed it has invested 2 billion yen ($17.6 million US) in this round while other participating investors have not been disclosed. 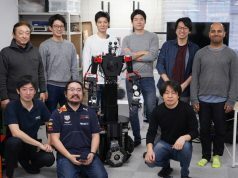 Founded back in 2007, Spiber is a spin-off from Institute for Advanced Biosciences, Keio University, and headquartered in Yamagata, three hours north of Tokyo by bullet train. Prior to this round, the company had reportedly raised over $210 million US. It is said that this round brings their total equity funding to date to over $260 million US. The fund will be used to establish a mass-production facility while the spiber company is now in transition from the research and technology development phase to the mass-production phase. The company plans to develop a huge world-class plant for protein fermentation and purification operations in eastern Thailand (Rayong Province), planning to produce structural protein products for apparel and automobile industries. The area of the new plant in Thailand will be about 100 times that of the pilot plant located within their headquarters in Yamagata. The new plant construction will start in mid-2019, with launch of commercial production targeted during 2021. After the new plant starts operating, structural proteins will be fermented / purified in Thailand and then carried to Japan for textile production (including yarn twisting and fabric processing). Production volume varies depending on the targeted kind of proteins but is expected to be several million tons on an annual basis. 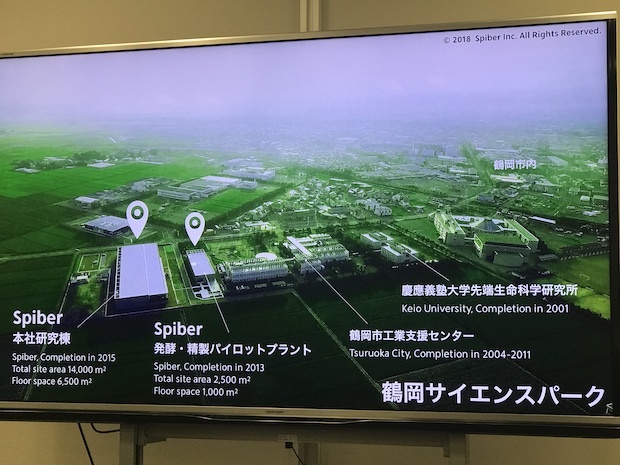 Kazuhide Sekiyama, Director and Representative Executive Officer of Spiber, says they chose Thailand as a base for the new plant because the country is highly ranked in producing and exporting sugar, proving it can provide abundant biomass resources for protein fermentation. 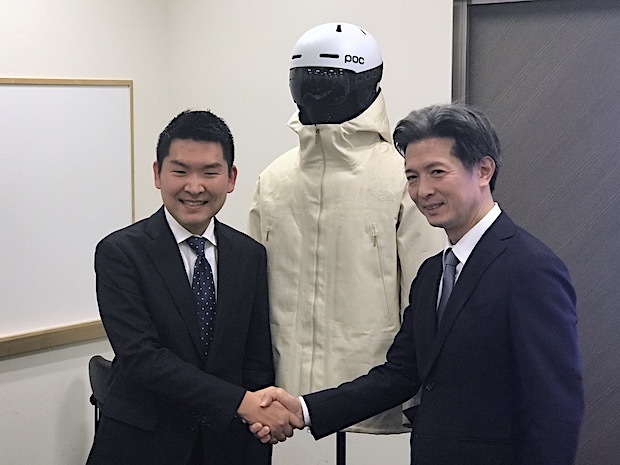 Since 2015, Spiber has been developing a hooded sweatshirt using their synthetic spider silk-based garment called Qmonos in partnership with leading Japanese sports apparel manufacturer Goldwin. The new prototype (ver. 2.75) of the Moon Parka sweatshirt was introduced at the press conference. This is the 31st investment case for the Cool Japan fund since its foundation. 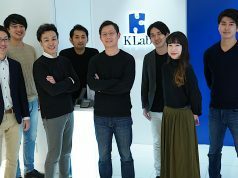 After Naoki Kitagawa (former CEO of Sony Music Entertainment) and Yuji Kato (CEO of East Investment Capital) were appointed as new CEO and COO/CIO respectively in July, the firm invested in US video production startup Tastemade prior to this investment.